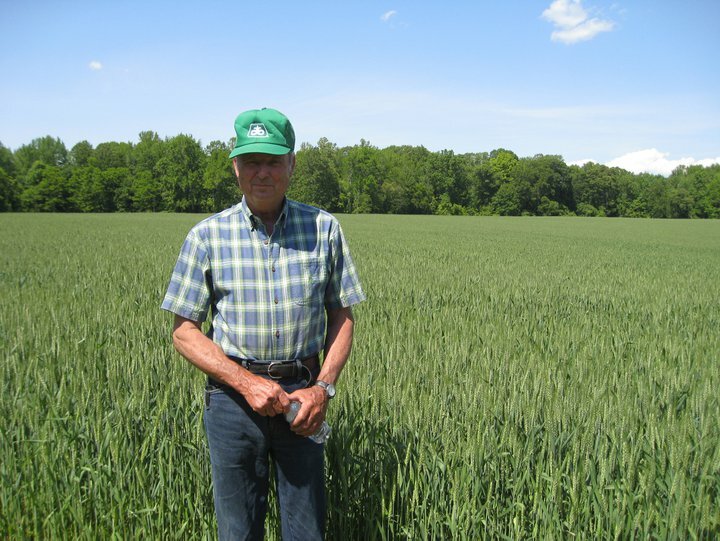 Joe Smith in his wheat field at Menokin. 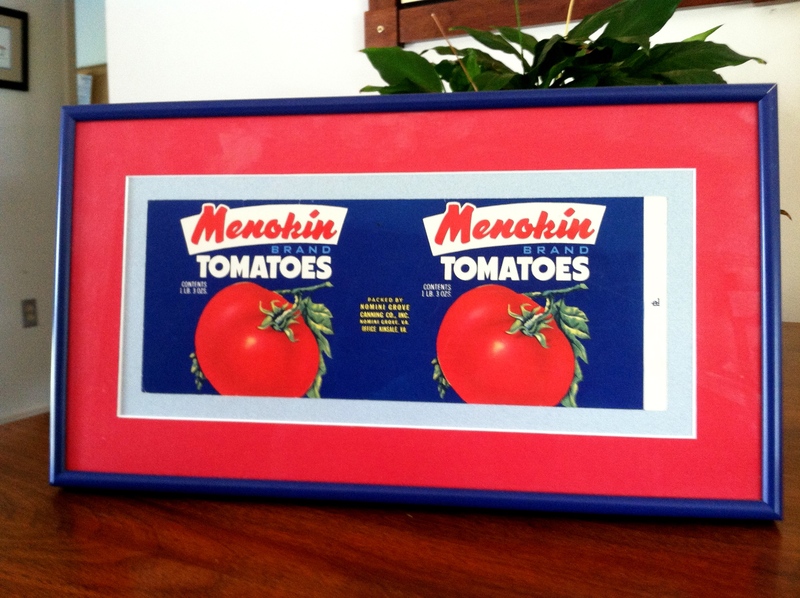 Joe Smith stopped by Menokin today with his customary warm handshake, eye-crinkling smile…..and a bag of tomatoes. 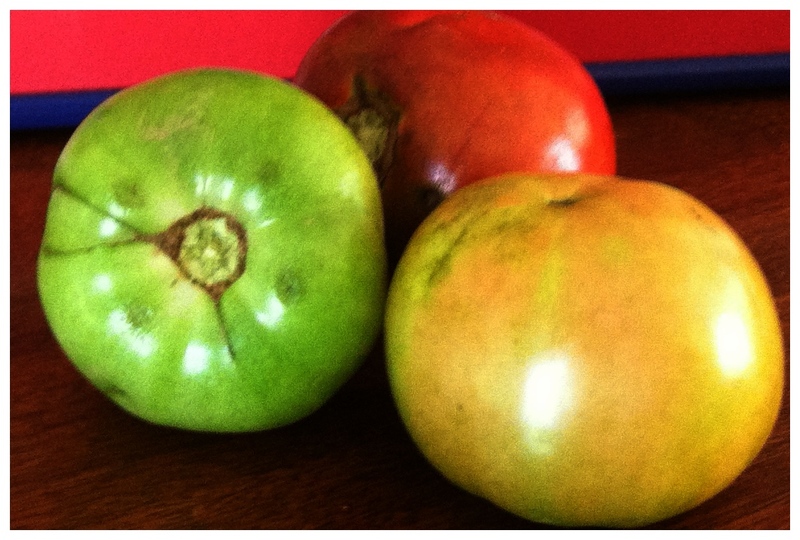 One definite advantage to working in the Northern Neck is the abundance of fresh produce. 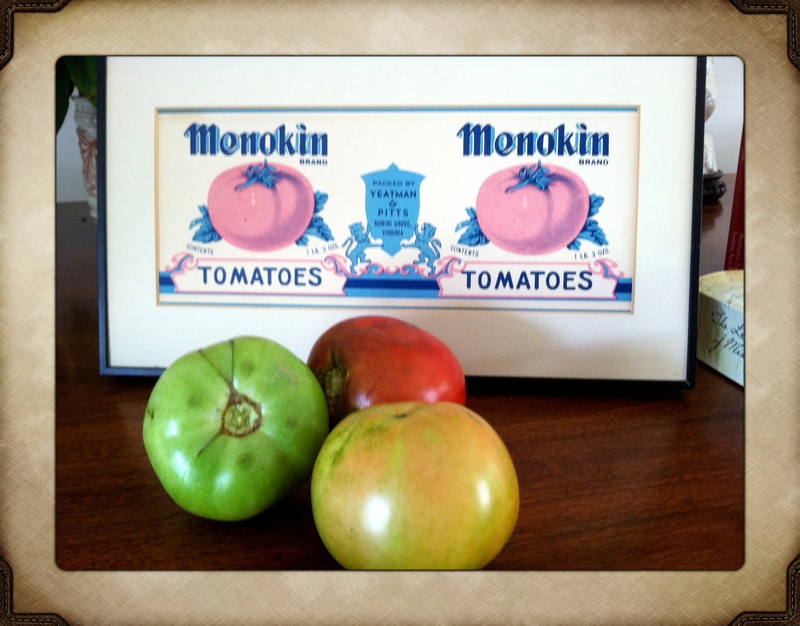 Here at Menokin, our local farming friends are quick to remember us when doling out the harvest of their labors. Joe has farmed the Menokin property for more than 30 years. His connections to Menokin are many and his roots in the Northern Neck are deep. He was happy to explain that the yellow tomatoes are called “straws” which are on the verge of “breaking” into full ripeness. He also let us know that if we were unable to wait, the green tomatoes are delicious fried up in a pan with potatoes, a dish his mother prepared for him as a boy. Tomatoes are a pretty big deal around here. Farm stands depend on the reliable reputation of a delicious ripe tomato warmed by the sun to lure passers-by to pull in for a purchase. But many years ago, with the introduction of the steamboat era to this region, tomatoes and tomato canning became a huge industry. According to a 2008 article from the Southside Sentinel “at one time there were 40 tomato canning factories on the Northern Neck, and just about that many on the Middle Peninsula.” The vegetable canning business that grew out of the steamboat era provided jobs at a time when this area was still recovering from the Civil War and, later, the Great Depression. Each cannery had its own label, the likes of which are considered artwork worth framing and collecting by many in these parts. These two labels were gifts of one such local collector. Sure, we may do without many modern conveniences out here in the countryside – like reliable internet and shoe stores. But what we do have is really worth having. Yum.